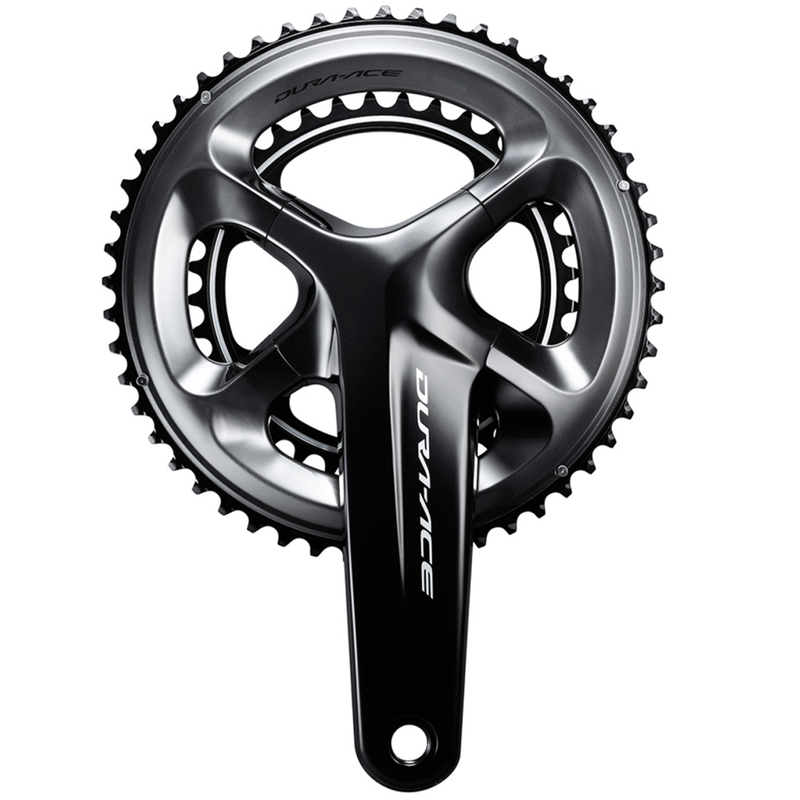 The R9100 series crankset achieves the ultimate in optimal power transfer. It does this through its broader Hollowtech II arm and a more reinforced outer chainring on its unique asymmetrical four-arm spider construction. The new R9100 cranks set the highest standards for ridity and lightness. Great purchase. Fit and looks well in my bike. Very lightweight and small crankarm (165mm) makes pedalling smooth on my Triathlon bike. Recommended. Bought from Usa and arrived fast and good condition. The usual top quality product from Shimano and works really well with very smooth changing. Very pleased with the prompt delivery too. Very nice crankset from Shimano, very light but feels extremely solid when riding, improvement in power transfer is immediately noticeable. Merlin's customer service is very quick and helpful when answering my enquiry, very quick delivery and products arrived in perfect condition.